From dual-booting to WINE, free software has always struggled to provide a solution for running Windows applications. However, few of these efforts have been more ambitious than ReactOS, a free-licensed implementation of Windows. The project has been at work since 2006 and, in February 2016, ReactOS finally released its first alpha version, after a decade of difficult and necessarily cautious development. 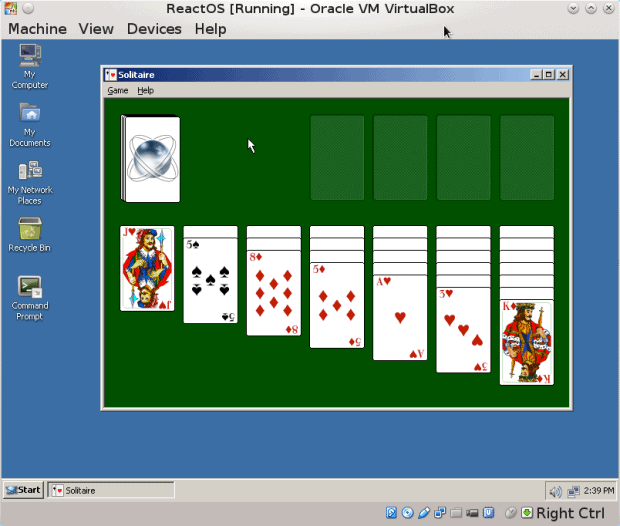 According to developer Ziliang Guo, ReactOS grew from the failure of the FreeWin95 project, whose goal was a free-licensed implementation of Windows 95. FreeWin95 got basically nowhere because the people involved got bogged down in technical discussions about how to implement the OS, with no one willing to actually do the actual coding. As a result of this lack of progress, Jason Filby and David Welch created a new project to create a free version of Windows NT. Jeff Know, another project member, suggest the name ReactOS because the effort was a reaction to Microsoft’s monopoly on the desktop. Actually booting an operating system is a more involved task than most lay-people would think. Another early problem was a lack of documentation for the internal architecture of Windows NT. For instance, lack of information on kernel level APIs made compatibility with NT drivers difficult. Similarly, internal interdependencies had to hacked, which led to and increased technical debt — that is, a gradual increase in problems that slowed progress. When the team was able to move onto implementing missing functionality, there was often a need to go back into existing components and remove the hacks, which could end up in something of a rabbit’s hole of hacks holding together other hacks, and the entire thing collapsing in unfortunate ways. Today, the situation is somewhat improved. 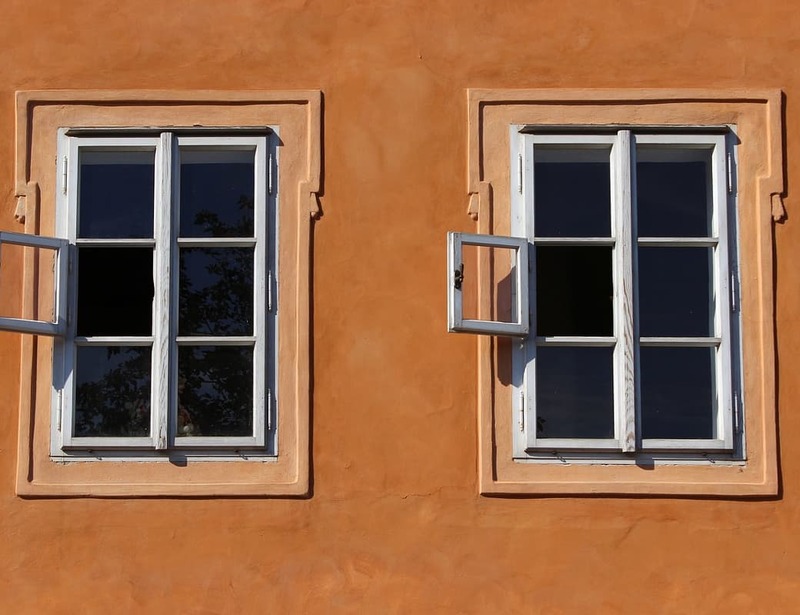 “There is plenty of available documentation about Microsoft Windows,” says project coordinator Aleksey Bragin, including the MSDN site, as well as books such Windows Internals, Inside Microsoft Windows, and Windows Graphics Programming. This information can be used freely, but sometimes contains errors, and undocumented parts remain. Consequently, despite the occasional advantage, to move forward, ReactOS continues to rely on reverse engineering by third parties. At other times, project members resorted to blackboxing, systematically testing Windows’ responses to different types of input in the hopes of understanding what was happening internally. Unfortunately, reverse engineering is often a legal mine field. says Guo. To avoid any potential problems, ReactOS has always been careful to make certain that all contributions were not derived from restricted Microsoft code. For example, code created through reverse engineering, and then converting Assembly into C code is not accepted, but blackboxing is. In fact, according to Bragin, ReactOS prefers to avoid reverse engineering whenever possible. When reverse engineering is unavoidable, contributors are expected to apply 2.1 of the GNU Coding Standards, and avoid refering to any proprietary source code — especially Windows’ — for or during work on React OS. Instead, all code must be as different possible from the original. Even so, reverse engineering remains a gray area. Guo recalls that, at one point, project developers argued over differing interpretations of what constitutes untainted code. The dispute caused several developers to quit, and resulted in an internal audit of the project’s code. Fortunately, no tainted code was found, and the project was eventually able to continue. The release of alpha version 0.4 comes after several years of crowdsourcing with limited success. The new release is available as a Live CD, which installs easily in VirtualBox, where — naturally enough — it should be registered as Windows NT. The operating system boots in a matter of seconds, perhaps because it emulates the systems of twenty years ago on modern hardware. It runs a variety of software, including Winzip and free software such as LibreOffice, as well as a few older or simpler games. ReactOS running its version of Solitaire. The number of people who are NT kernel experts who don’t work for Microsoft already are few and ar between. Most of the low hanging fruit has been plucked, with the consequence that major, user-visible changes are far fewer that in the past. The most important gap is stability of the system, related to memory management and caching. There are other problems, of course, but having a really stable kernel would be a great success for the project. Still, the first alpha release remains a significant milestone. ReactOS is already advanced enough that Bragin uses it for teaching about operating systems. As often happens with free software interacting with proprietary development, ReactOS would appear to be perpetually behind — reacting, if you pardon the pun — to Microsoft’s constant changes to its API. However, that situation may be less gloomy than it first appears. For one thing, so long as the project continues its blackbox practices, Microsoft’s apparently friendlier attitude towards free software these days might mean fewer legal dangers. Even more importantly, ReactOS has no interest in reproducing every feature of each Windows release. We try to produce good features, for example UI theming allows us to switch between various themes. However, not everything that Microsoft adds is good. For example, there is no catch up play for the Metro Interface, or for any other new APIs until they gain enough popularity. If someone really wants it, she could do a Windows 8 Metro Theme. However, I am not sure there are many who would love such an interface. I just don’t see that much added value in Windows 10 or Windows 8. Whatever happens, with its alpha release, ReactOS appears to be gaining momentum. Although its goal remains challenging, after a decade of work, its prospect for a general release seems to be in sight at last, if only distantly. Great, it’s hard to come across technically savvy articles with actual criticism about ReactOS. Most people think that software development is linear, but the truth is that, when you are mirroring a system, getting applications to work is exponentially easier once its foundation comes together. A 20% correct implementation runs 80% of the software, as Pareto would say.